The Equal Employment Opportunity Commission (EEOC) forged new ground earlier this month when it ordered the U.S. Army to pay damages to a transgender employee based on a discriminatory restroom policy. We have reported in past posts on the EEOC’s increased enforcement focus on transgender rights in the workplace under Title VII of the Civil Rights Act of 1964, as well as the increased societal focus on this issue. (See, prior posts here and here.) 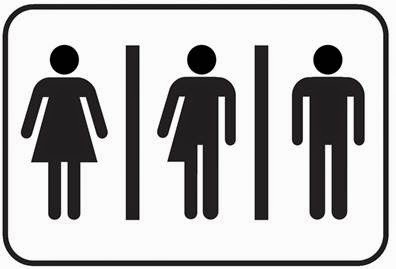 The EEOC’s recent April 1st ruling in Tamara Lusardi v. John M. McHugh, Secretary, Department of the Army reflects this trend and sets forth important guidance on the EEOC’s position on transgender restroom rights. The EEOC’s ruling stemmed from a charge of discrimination filed by Tamara Lusardi, a transgender woman. In its ruling, the EEOC found that the Army discriminated against Lusardi by prohibiting her from using the female restroom that matched her gender identity, repeatedly referring to her by male, rather than female, pronouns, and making other hostile remarks. In 2010, Lusardi talked with her supervisors about her process of transitioning her gender presentation/expression from male to female. At the time, Lusardi agreed to use a unisex restroom rather than the women’s restroom until she had undergone a planned surgery. On several occasions when the unisex restroom was unavailable, however, Lusardi used the women’s restroom. On each such occasion, she was confronted by her supervisor, told that her female restroom use made others uncomfortable, and that she must use the unisex restroom until she could show proof of having undergone a “final surgery” to become female. In ruling against the Army, the EEOC rejected the Army’s defense that Lusardi had agreed to use the unisex restroom, holding that an employee cannot prospectively waive Title VII rights. The EEOC also rejected the Army’s argument that the discomfort of other employees was a legitimate reason to restrict a transgender individual’s restroom use. The EEOC also found that the harm to Lusardi extended beyond the denial of equal access to a resource open to others. By restricting Lusardi to use of a unisex bathroom, the EEOC found that the Army had isolated and segregated Lusardi from other persons of her gender and perpetuated the sense that she was not worthy of equal treatment, dignity, and respect. The EEOC’s decision in Lusardi makes clear the EEOC’s position that transgender individuals must be permitted to use the workplace restroom that matches the individual’s gender identity. While the Lusardi decision is not binding on federal courts, federal courts often defer to the EEOC’s position on federal discrimination laws. As such, employers should review their restroom policies and practices to avoid discrimination risks and should be training managers and employees on transgender rights in the workplace.